Want to add a stunning focal point to your landscape? Or, perhaps, you want to bring a little bit of that tropical vacation feeling to your home. Palm trees are iconic with their spectacular silhouettes and they give any place the tropical or resort feeling. 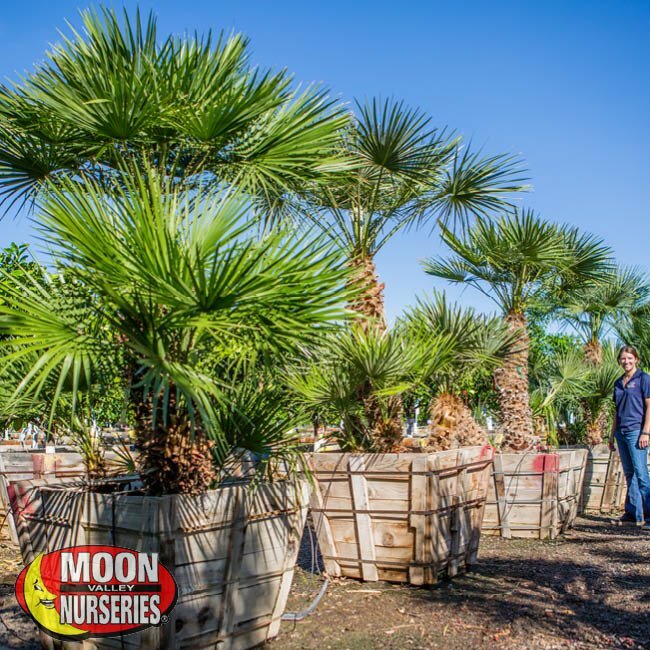 At Moon Valley Nurseries, we custom grow our palms to thrive in our local Texas environment – meaning they are the best you can find. 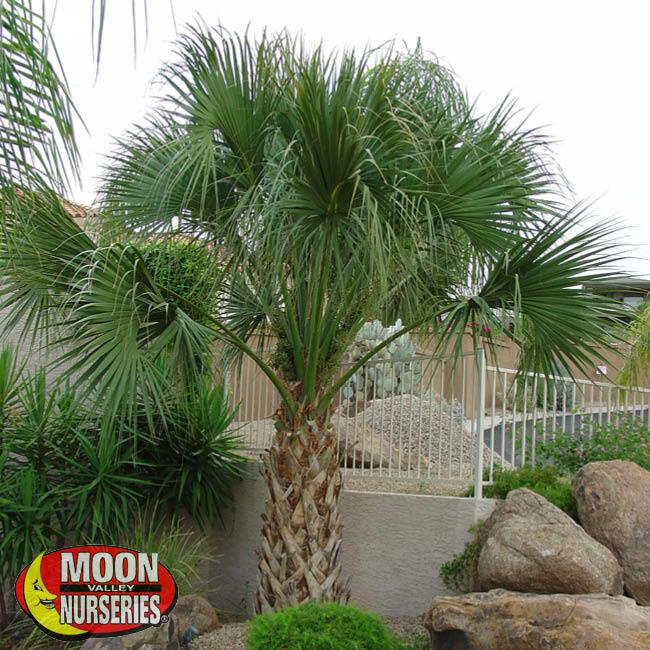 Below are our top five palms that are perfect for any landscape. Sylvester Palm: The Sylvester Date Palm features a diamond cut solitary trunk, with long branches that reach high into the sky. 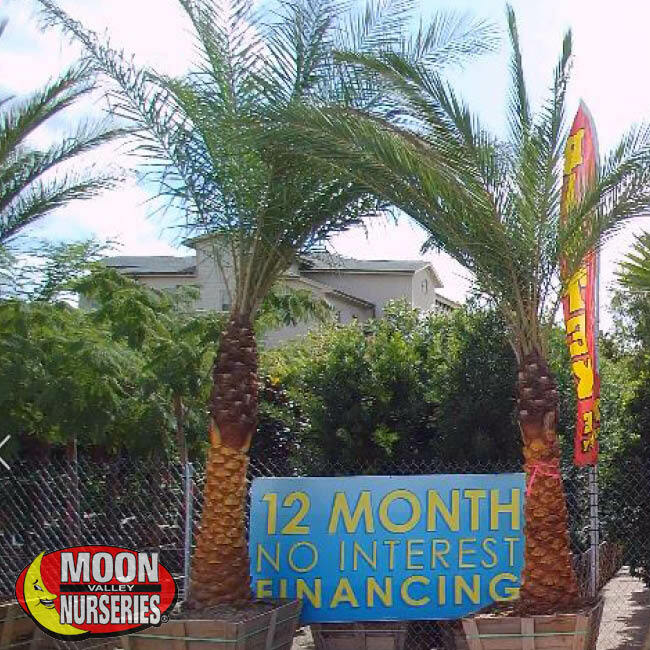 These palms are most commonly used in golf courses or luxury homes to add a touch of elegance to any spot in your yard. These fast-growing palms with its long gray-green branches help them adapt to many landscape themes such as Mediterranean, Tropical, and more! Symmetrically plant these in your front yard to add a balanced and stunning entrance to your house! 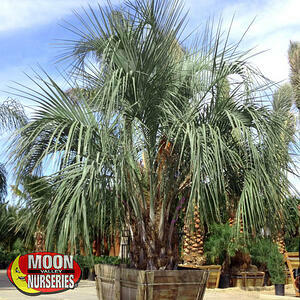 Pindo Palm: This palm has lovely silver-green, graceful arching fronds. 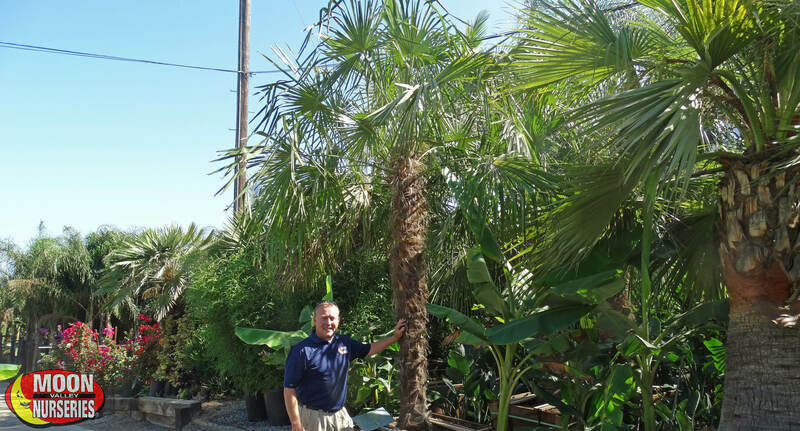 It is a cold-hardy, drought-tolerant palm that thrives in full to partial sun environments, perfect for the Houston area. The Pindo Palm fits in with contemporary, Mediterranean, and tropical landscape styles. In the summer, this palm blooms clusters of beautiful yellow to reddish flowers that produce the sweet and edible Pindo fruit, which is often used to make jelly. Highlight the beautiful features of the Pindo Palm with landscape lighting to display the graceful arching fronds and dramatic foliage! Windmill Palm: With its unique and slender trunks and dark green fronds, the Windmill Palm adds a natural, tropical feel to any yard. It thrives in full sun or light shade and requires low to moderate water use once established, just what we need in Texas. 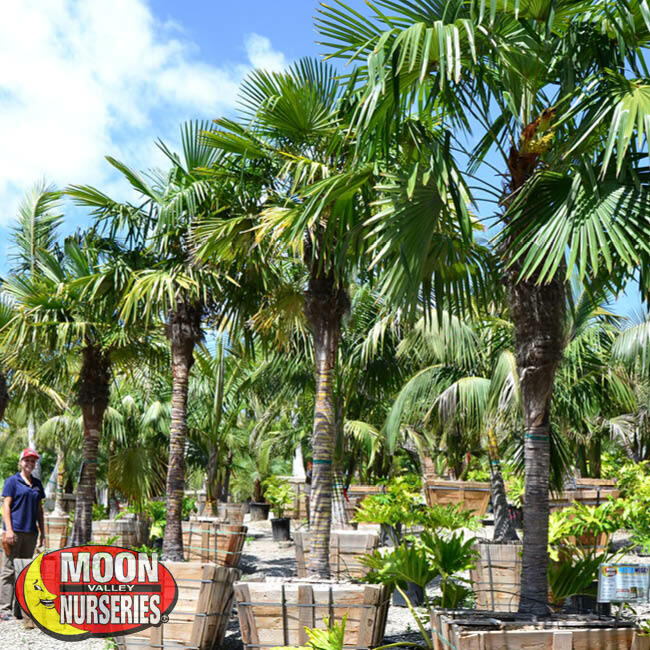 The Windmill Palm is a neat, small-scale fan palm that is great around small patios, narrow spaces, gardens, entryways, and any place in your landscape. This palm has a calming effect wherever it is placed. Create drama in your landscape and set the “wow” factor on high with nighttime landscape lighting; light from behind or below or use direct floodlights to silhouette it against light-colored walls.